A scrumptious medley of premium sun dried tomatoes from the Shenandoah Valley of Virginia, and our own secret smoky mix of the finest dried chili peppers from the southwest, all soaked in our 2012 gold medal award winning extra virgin olive oil of Moura, Portugal! 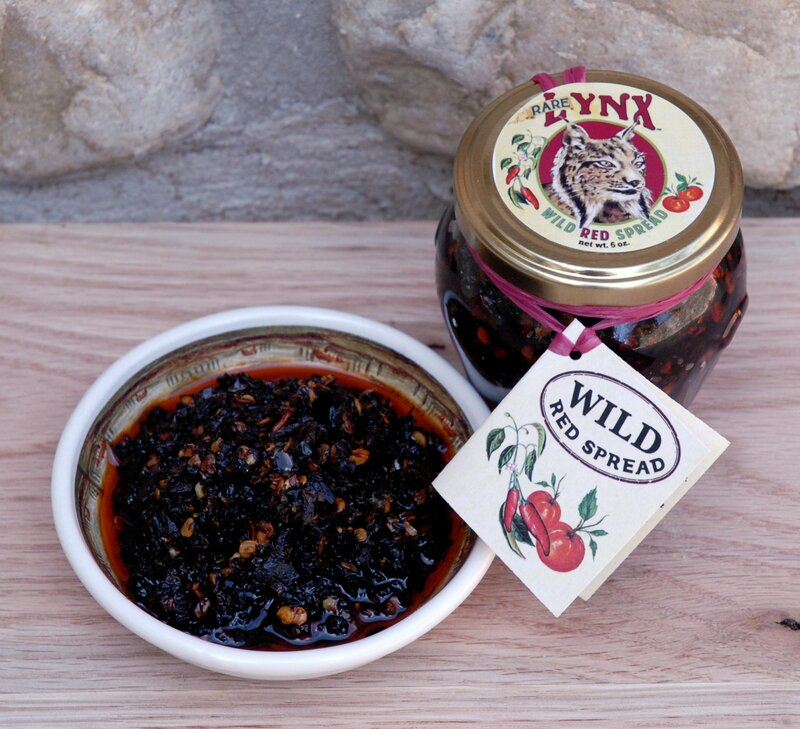 Rare Lynx Wild Red Spread is a scrumptious medley of premium sun dried tomatoes from the Shenandoah Valley of Virginia, and our own secret smoky mix of the finest dried chili peppers from the southwest, all soaked in our 2012 gold medal award winning extra virgin olive oil of Moura, Portugal. With this versatile spread you can let your culinary imagination run wild, to make any dish or hors d’oeurve exotic and delectable! Use as the magic ingredient in pasta, mixed in humus or as a dip, as a spicy base for your soup, on bruschetta, a cracker, a pizza, meats and poultry, and fish, when baking, grilling or barbecuing. Make your taste buds dance with pleasure!